Experience some of the best golf in the nation! 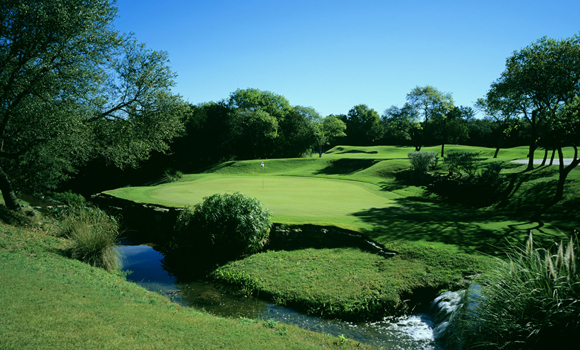 The Austin area has fabulous golfing opportunities including public, semi-private and private golf courses. Some of the golf courses are designed by masters of the game such as Crenshaw, Palmer and Fazio. Many of these are set in the rugged beauty of the Texas Hill Country. Get into the swing of things at Austin area greens. With around 50 courses to choose from, Austin has a full line up from public to high-profile golf courses with resorts. Have fun while working on your putting skills at one of Austin's fine miniature golf courses. These beautifully landscaped courses offer clean greens and obstacles to challenge event he most seasoned golfers. W. Riverside and 201 Lee Barton Dr.
10330 Old Golf Course Rd.